The Boker Optima with Micarta handles is the perfect platform for the interchangeable blades system available! Made of 440C stainless steel bowie blade can be quickly and securely switched to a variety of optional tools (not included). Polished nickel silver bolsters, textured micarta scales and contoured handle provide a comfortable grip. 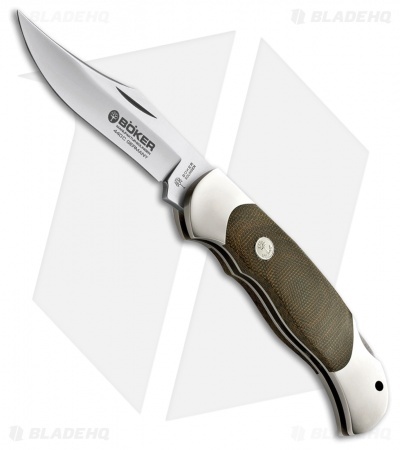 A great traditional pocket knife with the ability to serve a variety of purposes!